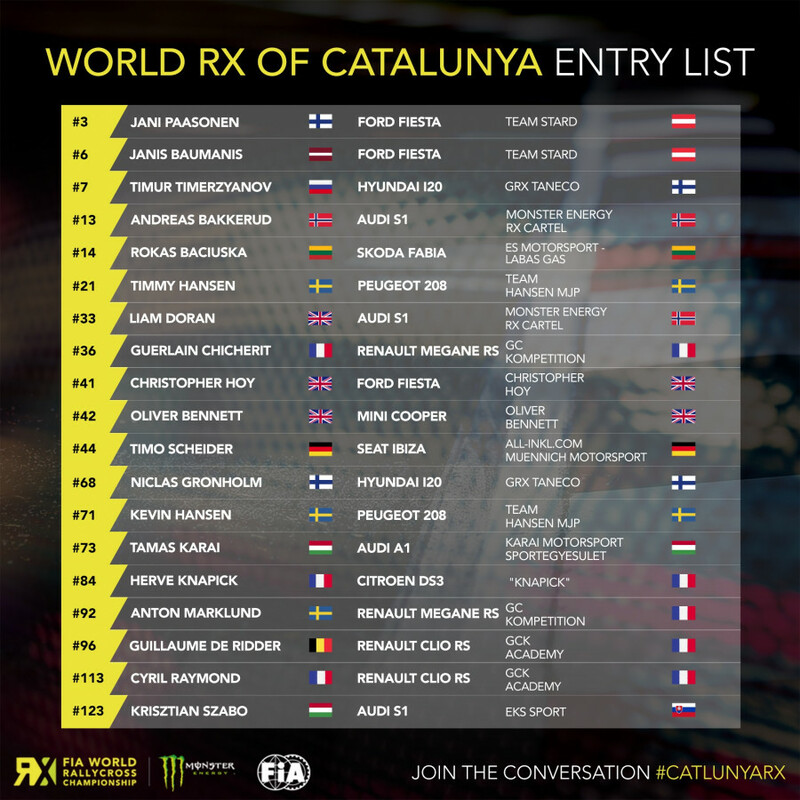 We just released the drivers entry list who will meet at the Circuit de Barcelona-Catalunya on April 27 and 28 to play the CatalunyaRX 2019. More than 70 drvers will face each other in Montmeló to prove that they are the best in their category . There are four categories that you can enjoy in the circuit RXtrack: Supercar WorldRX, RX-2, Super 1600 and Hot Wheels RXstars with a dream team headed by Pol Espargaró. The Hansen brothers want to continue dominating the championship. 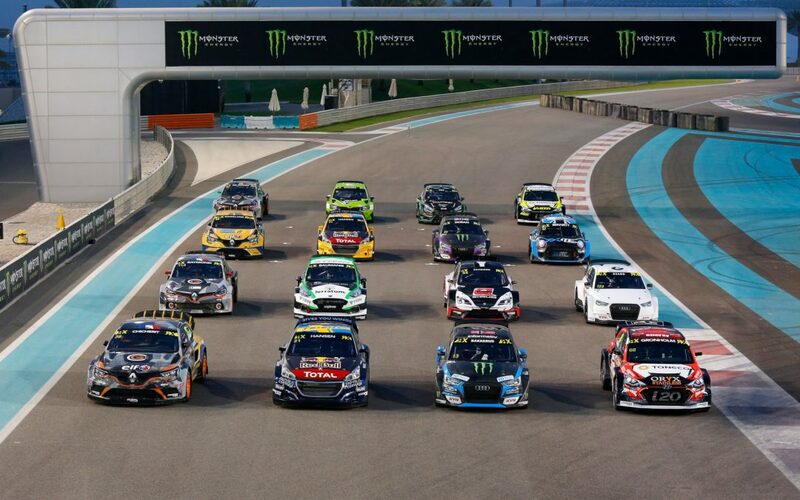 After a weekend of very good sensations and some opposite results in Abu Dhabi (Kevin climbed to the top of the podium, while his brother who rolled at an unstoppable pace was “kicked out” of the race by Andreas Bakkerud) the family Hansen aspires to everything in the CatalunyaRX 2019. The only team that seems to be able to spoil the party is headed by the little Gronholm, who lost everything and the first place by a penalty in the first race has shown that he has pace to win. RXcartel and GCK will be two teams to keep in mind in our test that keeps the new start opened in 2018. Albert Llovera will again give a show at the Circuit de Barcelona-Catalunya on 27 and 28 April in the RX2 category. The incombustible Andorran driver will debut this season at home, “I’m pretty dreamer, I hope to be very high and almost in the final.The first thing we’re going to do this season and we’ve been talking to the team is trying to sneak in 2 or 3 semifinals Arriving at the semifinal leaves the door half open to enter the final, and if it were in the CatalunyaRX it would be perfect, “says Albert. The Hot Wheels RXstars, own competition of the CatalunyaRX of carcross will have a team of ambassadors without equal. The MotoGP rider Pol Espargaró is the head of this dream team, accompanied by the fireproof Dani Clos, the Dakarians Gerard Farres, Cristina Gutierrez and the French downhill cyclist Cedric Gracia. All of them will face our selected driver, a driver who will be chosen from among the 50 candidates who have registered and who offers the possibility that one of our fans can become a pilot for a day.